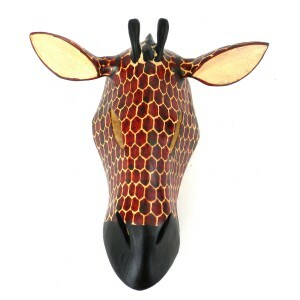 This wood zebra mask is hand-carved by members of the Kamba tribe in Kenya. Mask features detailed hand-painted stripes on the zebra’s head and measures approximately 8.5 inches high x 4 inches deep. 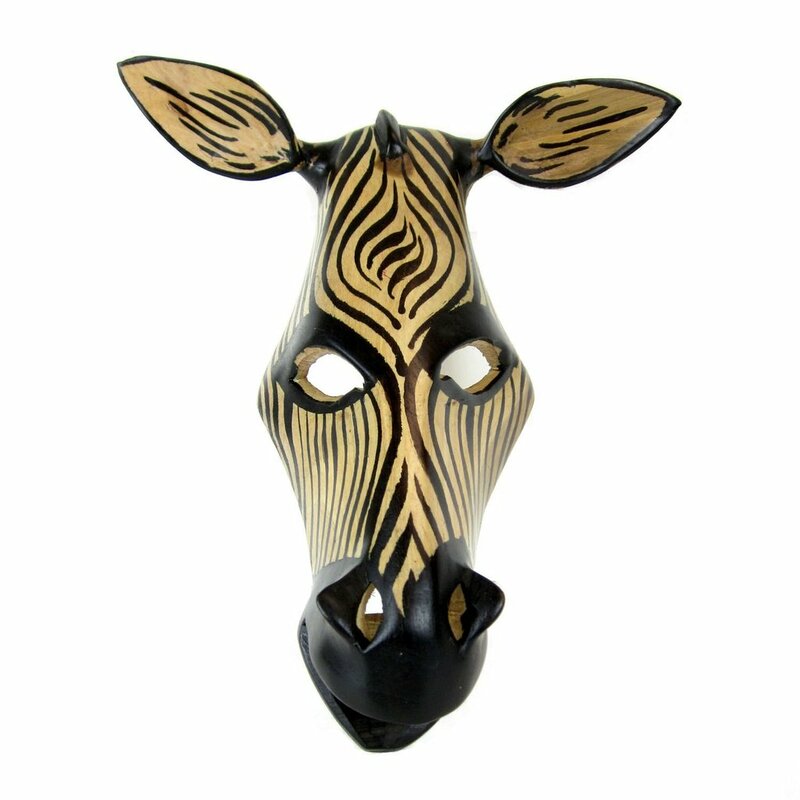 This wood zebra mask is hand-carved by members of the Kamba tribe in Kenya. Mask features detailed hand-painted stripes on the zebra’s head and measures approximately 8.5 inches high x 4 inches deep. Made by Jendando Handicrafts.